All the talk of Christmas in July this month has started me thinking about Christmas and traditions. Family traditions play a big part in creating a family's identity. They enrich and give color to a family and my family is no different. Does your family have cherished traditions? You might have traditions for celebrating birthdays. Do you have specific clothes that have become part of your family's traditions? Weddings, christenings, and Christmas often include specific items that are worn by family members. 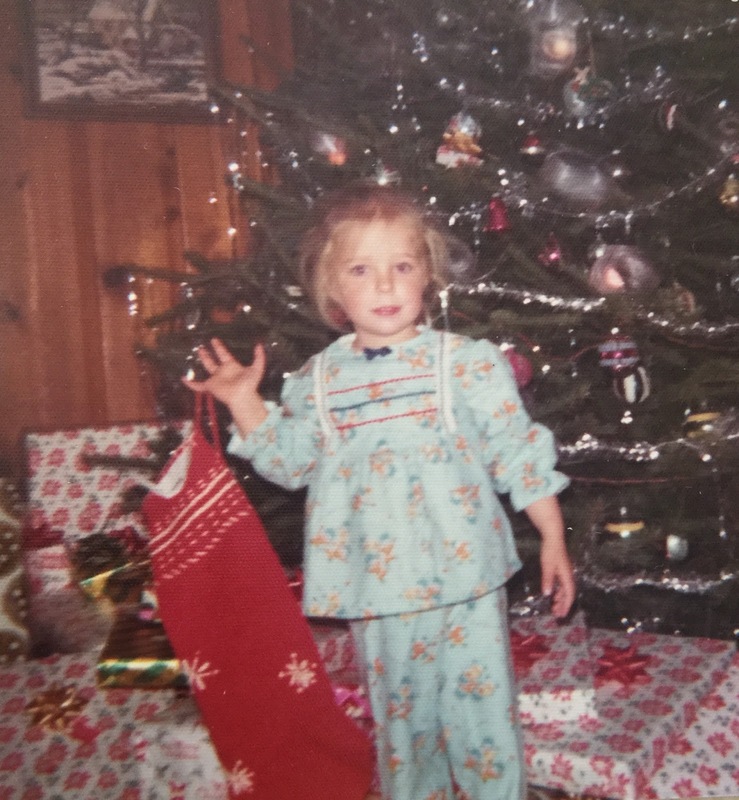 We've never done it, but many families dress in the same pajamas for Christmas morning. One of my family's Christmas traditions is hand-knitted Christmas stockings. My mom started the hand-knitted Christmas Stocking tradition for my siblings and me. She made each of us our own, huge, wonderful Christmas stocking that was always filled to the brim with surprises by Santa. Over the years, the tradition has expanded and been passed down. 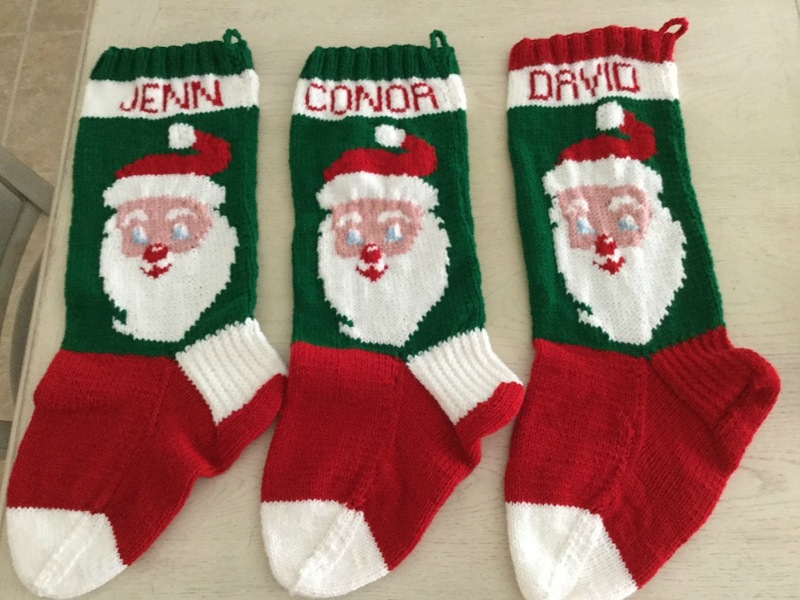 Spouses were welcomed to the family with their own custom-knit Christmas stocking. As grandchildren were born, Mom made each child his or her own custom-knit stocking for their first Christmas. These stockings have become a well-loved family tradition and now the honor of knitting them has passed to me. 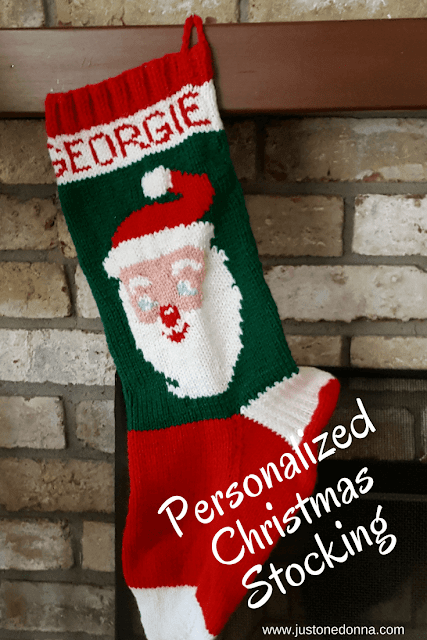 I have been busy the past couple of years, making custom stockings for new family members and even passing the tradition on to other families. I like to make a special stocking as a baby shower gift for moms-to-be. These hand-knitted stockings are large. The ones I make are 25 to 30 inches long and about eight inches wide. Made of acrylic yarn, they stretch nicely which makes it easy to fill them with goodies of all shapes and sizes. I think that's why the kids in the family love them so much. They never know what surprises Santa will be able to fit into their stockings. 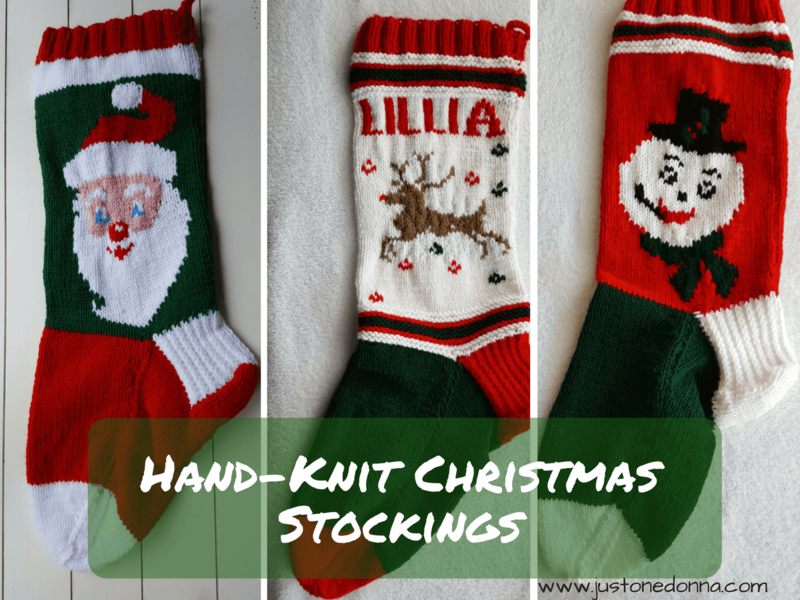 The adults in the family love these hand-knit stockings, too. We still fill stockings for the adults in the family. Generally, spouses and significant others take over for the moms and dads when the time is right. These stockings are so durable that all the adults in the family still use the same stockings they had as children. That makes this tradition a special reminder of the good times the family has shared through the years. I've started an Etsy store in order to share this tradition with other families. Most of the stockings I am selling are knit following vintage 1950s patterns. I love the vintage feel of the designs for Christmas stockings. Because these stockings are hand knit by me, there is a very limited supply. I have a few stockings in inventory, ready to be personalized with a name. Those can be shipped within a week of the order. I also accept custom orders. Most recently I completed an order for six stockings that replicated ones that had been knit many years ago by my customer's grandmother who has since passed. My customer was so delighted to receive the six stockings I lovingly made for her family. I'm still accepting custom orders for 2018. Custom orders will be accepted through September 30th for delivery in the fall. Santa has been the most requested style of Christmas stocking to date. Other styles are available to order as well. Choose from colorful stripes, Santa, Mrs. Claus, Reindeer, and a Snowman. 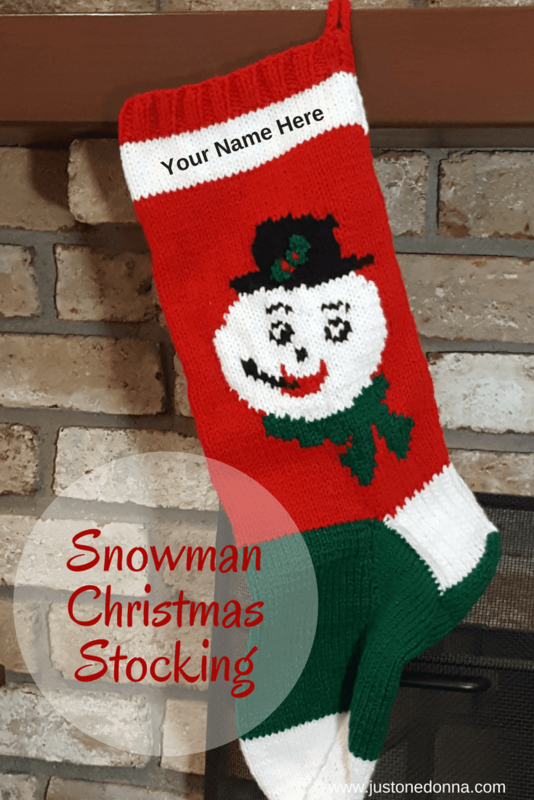 If the idea of custom Christmas stockings for your family appeals to you, please check out my Etsy store. You'll find some stockings in inventory just waiting to be personalized. I'd be happy to knit a custom order as well. To me, these are not just Christmas stockings. They are about tradition, family, and memories. I'd love for you to share my stockings with family and friends on Facebook, Twitter, and Pinterest.